Over the years many have suggested that Tito’s vodka is not really made in small batches or by hand. I tried to keep an open mind, as the brand grew, and even in the face of the lawsuits summarized here. With the aid of more than one big law firm, and a superior command of the facts, I was eager to sit back and see how deftly Tito could shut down its many detractors. The motion weighs in at 20 or so pages and it does not seem an exaggeration to say that the entire brand, the company, and just about everything on the front label hang in the balance. Also, Tito had the immense benefit that he knew or certainly should have known this day would come around sooner or later. This should have been clear since the first references to “handmade.” This should have been further clear upon the various inquiries about the term over the years, as described in the motion. 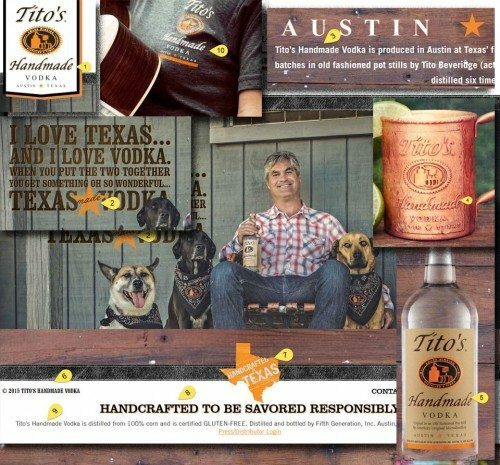 In light of what Plaintiffs have pled – and in particular their reliance upon a widely-circulated 2013 Forbes magazine article – it is hard to see how they could plausibly claim they were misled by the label on Tito’s Handmade Vodka for any purchases made after the article was published. Similarly, the number of times they purchased may raise plausibility concerns: If they enjoyed the taste of the product and thought it was a good value, did the label truly influence any but their first purchase? And, if the first time they ever tasted Tito’s Handmade Vodka was at a party, at a restaurant, or in some other setting in which they decided they liked the taste before they ever saw the label, could the label plausibly be said to have influenced even their first purchase? Plaintiffs’ skeletal allegations raise all of these questions and more, but answer none of them. The defendants seem impressed with this point, breaking out the bolded italics. Maybe I am missing something fundamental, but this seems absurd as any kind of defense, let alone a cornerstone of a defense. Does it really make sense to assume the plaintiffs would, should, or did get key information about the product from a magazine article — instead of the big, federally mandated, reviewed and approved label plastered on the front of the bottle? The Forbes article is interesting, relevant, and important — but is it really so epochal that everyone interested in vodka should be intimately familiar with it, from the moment of its publication? On the very same page, the motion makes clear in any event that “Plaintiffs never claim that they saw or read the article.” The motion seems to be saying that even though the article is wrong, and low-quality, every yahoo from Texas to California to Florida should know all about it, from the moment of its publication. Perhaps Tito seeks to argue that the lead plaintiffs knew about the article before the purchases at issue, and that this should have caused them not to buy the vodka, or, at the very least, that it would make them not good representatives for the class. Next, the motion veers over into shaking the pompoms, declaring Tito’s to be “great tasting” and with a value proposition “true to its Austin, Texas roots.” By page five, the motion tees it up beautifully, saying “Plaintiffs contend that Tito’s Handmade Vodka cannot be ‘handmade’ because it is ‘made from commercially manufactured neutral grain spirit that is trucked and pumped into Defendants’ industrial facility. '” This would seem to be the heart of the matter. And so I move to the edge of my seat, waiting for Tito to hit this duly teed-up softball out of the park. And then I wait some more, as the softball seems to sit on the tee, without the benefit of even a swing or a miss, let alone a base hit. Immediately after raising this tantalizing question, the motion changes the subject toward an unilluminating primer on how vodka is normally made. Tito makes a stronger point by explaining that TTB inspected Tito’s labels, plant and methods on many occasions, and still allowed the “handmade” claim. The defendants make quite a few other technical arguments and on some of those it’s hard to know who is right. And yet I find myself still waiting for the defendants to simply assert, at long last, that they do not bring in tankers of commodity spirits mass produced with continuous stills, far from Texas or the hands of anyone in Austin. Looks like we will need to keep waiting. 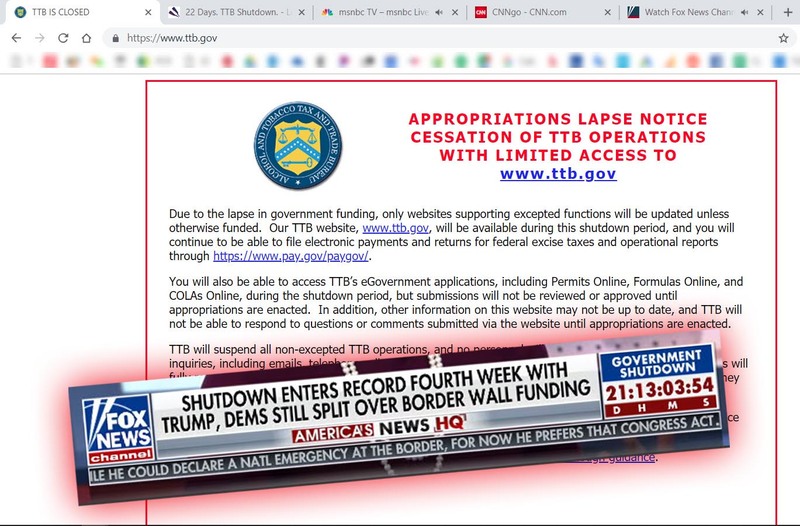 Finally, for all those who wrote in and said the label claims don’t matter and are only for nerds, please take another look at the label and web page depicted above. This is a screenshot of www.titosvodka.com as of January 4, 2015. I did not add any words or images but I did add a yellow tag near each of the most relevant spots; I emphasized the relevant portions and discarded a lot of the less relevant matter. Thanks for an excellent recap of the situation. Their ‘handcrafted’ claim is at best misleading and at worst detracts from all the producers whose products are truly hand crafted. I suppose turning on the equipment by hand is a justification of their claim? Come on, this is not marketing hype analogous to the claim of ‘smooth.’ This is deception. It is a crying shame that there are so many people out there that do not understand what it takes to start a company from the ground up and basically sell and hock everything you own to make it work, because it is yours! Instead you have a group of “ambulance chasers” that are trying to make money off of the labors of others. They hover over our population looking to take something that doesn’t belong to them. If they had to actually work for anything in this life, they would fail! Thanks for the comments Jessica and Don but a fundamental message of who cares what the label says seems to make no sense to me. What about others who that hocked everything, make things locally and in small batches, but can’t tell their story — because people say who cares about labeling? Great vodka, great price…who cares about what the label says? And if the TTB approved the label then it is good enough for me!!! Thanks for this summary Robert. I always enjoy reading your thoughts on this kind of thing. 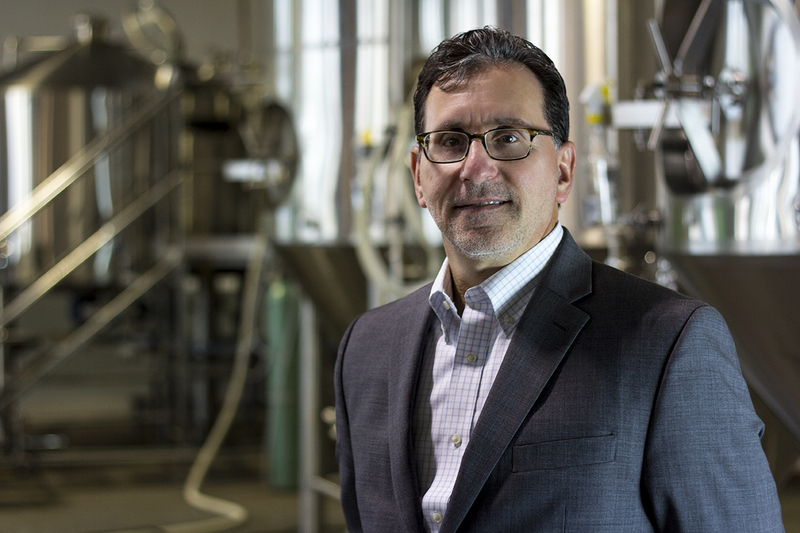 I hope that our newly formed trade organization (American Craft Spirits Association) can work with the TTB to clarify these issues. We formed an Ethics Committee last year and defined a code; our next step is to develop Truth in Labeling guidelines. When something is not “Hand-Made”, there needs to be clarity. No one is arguing quality standards. Tito may have influenced distributors and much of the industry/media by asserting that CRAFT can be applied to many levels of the spirits business, even when it is clear that at his size and scale of production handmade is simply not possible. Or do we redefine “handmade” as well? (If I buy a frozen dinner and microwave it, it was my hand that made that meal because I turned on a button?) It is simple to lose the “handmade” wording off the label and imaging, as the brand already has traction. Now it’s time for it to be authentic,in another way; great vodka at a good price. Simple, but true. 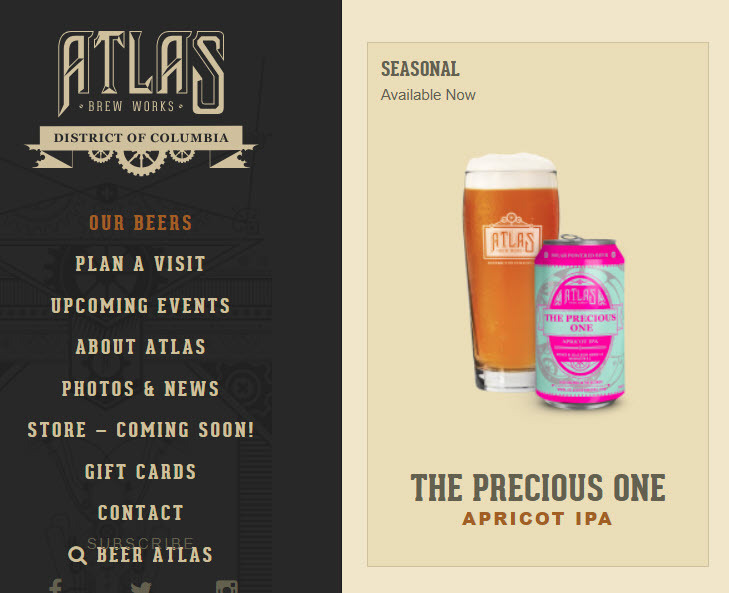 Isn’t the bigger issue that TTB doesn’t have a legal definition for “Handcrafted” (or other words like “Reserve”, for example)? 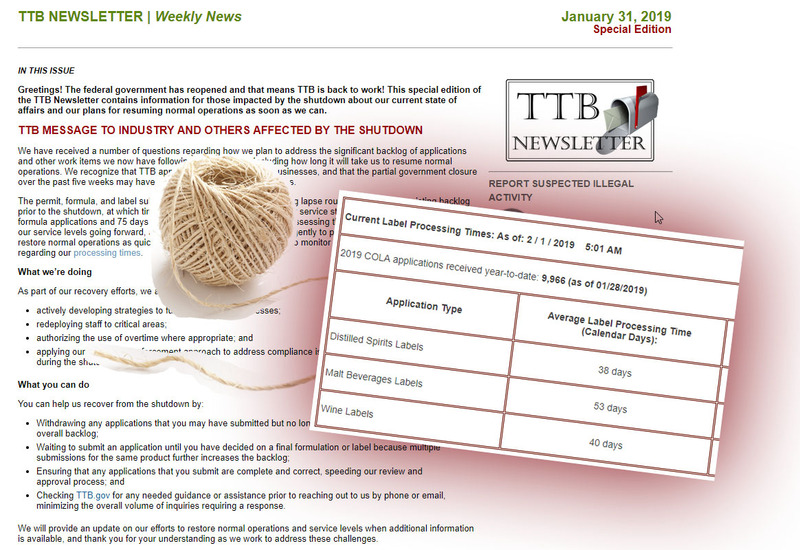 The TTB’s labeling regulations are well-defined, and I think that if they approved the label, the producer should be protected from claims such as the one the plaintiff is making. That said, TTB should define handcrafted, artisinal, and other terms so that consumers know what they’re getting. Incidentally, I recently saw an ad for a new condo building in NYC by Toll Brothers called the Sutton. The ad says the residences are “handcrafted”. It also stated something about “modern vintage”. This is why people hate marketers (and I am a marketer). I think Monika hit the question on the head when wrote, “It is simple to lose the “handmade” wording off the label and imaging, as the brand already has traction. No one disagrees that this is good vodka at a fair price. The TTB inspects facilities for tax and production records not authenticity. When the books are inspected by the attorneys, it will be a simple matter to show how many deliveries of neutral grain spirits were made to the bottling plant. On the other hand, if Tito’s does make all the vodka he is selling, where are the bills for the grains that were fermented? Or did Tito grow the grain and harvest it himself, by hand? As an aside, does your firm literally filter a MILLION label approvals down to just the one that matters to the client? I do not literally distill or filter any labels. I have some machines to do that. How it works under TTB law is a distiller can receive NGS (Neutral Grain Spirits) in bulk that they did not produce themselves and then run those through their own still to produce their own product. Most likely this is what Tito is doing, passing bulk NGS through their still(s) to produce a NGS and then watering it down and calling it Tito’s Vodka. Thanks Voodoo but does this make sense? You say make NGS from NGS. So it is 192 proof when received (in your example). Are you saying push it to e.g. 194 (in that folksy pot still) then dilute it down to 80 proof for bottling? I think I’ve heard it’s hard to go past 190 in a pot still — especially a small, folksy one — and especially with millions of gallons. How does this add up? He takes full proof GNS from Iowa…then dilutes it….then redistills it to a small degree. He uses this small distillation to create the Handmade claim. My big problem is not that he is doing this…but, the fact that he is taking very inexpensive GNS, doing almost nothing to it…then charging MUCH more than what he paid for it. And he is lying to everyone on behalf of my home town about his product being completely Austin grown. I have been telling people to stay away from his vodka for years. I have witnessed so many bottles with dirt in them, no labels, double labels, triple labels, no caps, etc. His quality control was non existent. It was shocking. He really was…basically just piping it in on one end…and bottling it out on the other. I’m not really sold on the fact that he actually re-distills all this juice. He might just be bottling it without touching it at all?? Which I wouldn’t have a problem with…if he wasn’t flat out lying to everyone. Buyer beware. Most American vodka’s AREN’T hand made. The end product is nothing more than watered-down vodka produced from bulk purchase ingredients. Turning on a tap, handmade does not make. As Ed Hamilton said, if there is a supply line, field to glass as exemplified by the Craft Spirits movement, then show us the proof of your provenance. If you are using NGS, say so! Warren you should read what the Maker’s Mark judge (Judge Hinkle) said. Highly persuasive. Good writing. Everything is hand made, even if one hand or one one finger touch a product, it can considered handmade. As someone said in an earlier message, if a product taste good, you like it and it’s approved by TTB, then what’s the issue. People just trying to make a name for themselves in a frivolous lawsuit. I think I’m going to sue God, for he created me, but did he make me. How Evil is Your Brew?